Junction, ClickBank and so on, here's how you can own receive your freelance earnings without living in the US or knowing anybody over there. 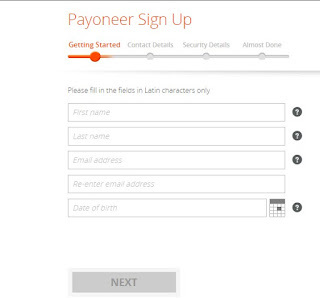 Payoneer is a great way for professionals, small business owners, and Publishers to get paid from companies abroad. Upon Sign Up, Payoneer provides you with a US Bank Account Number, Routing Number and every other account details you need to receive local bank transfers from abroad and receive the money in Nigeria or any other country outside the US via MasterCard. Payoneer will help you to clear the check and load it into your Payoneer account. You will also get a US Payoneer MasterCard that you can use to withdraw your money at ATMs in over 200 countries across the globe. To Open this Payoneer Account, Log on to Payoneer.com >> Click "Sign Up"
Complete the Online forms with all the correct information about yourself. After Successful SignUp, you will receive a confirmation e-mail quoting the estimated time for you to receive your Payoneer MasterCard at your location. After collecting your Mastercard, you will be required to activate the card. You can do that easily by dialing the International phone number that was instructed in the letter that came with your card. You won't even spend up to 100NGN to complete the call. Finally, log-on to your Payoneer account to fully activate your Payoneer account using the details of the Mastercard and the PIN you have chosen during the activation phone call you made previously. How do fund the account.?? 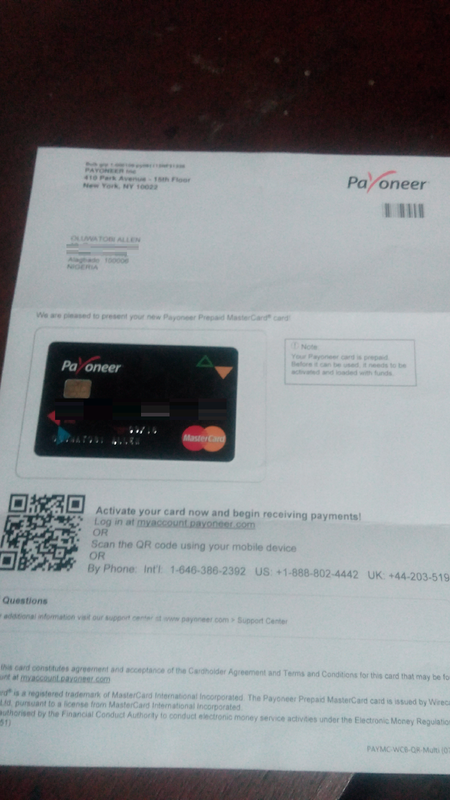 You can fund the account by getting someone with payoneer account transfer some cash to you or do a freelance job for an international company in the US and Payoneer will serve as a payment method for you to receive your cash. Can I also fund my account and transfer money to someone??? This particular us bank account is for Entrepreneurs or Freelancers that resides outside the US and wish to receive money from their clients abroad. Only companies can transfer into the account, individual funding is usually rejected.